From 18.30 each weekday evening until 08:00, at Weekends and Bank Holidays; emergency medical cover is provided by the Colchester Out of Hours Service. The Out-of-hours services are generally busy so please think carefully before asking to see a doctor and only do so if you genuinely cannot wait until the surgery re-opens.They can be contacted on 111. Please note doctors are not trained in dental matters. All dentists are required to provide an emergency service and you should be able to get any advice from them. 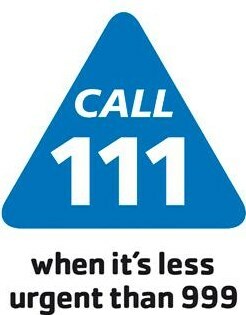 If you require emergency dental treatment you can also contact an emergency dentist on 111 .